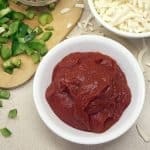 Call it Pomodoro Sauce or Marinara Sauce, our Homemade Pomodoro Sauce recipe is so easy, you won’t be reaching for a jar any time soon! When I was growing up, my mom made tomato sauces from scratch. In college, I’d always stash a couple of jars of sauce, just for a quick meal when I didn’t feel like cooking. It felt like sacrilege though, because I knew how simple and quick pasta sauce is to make. Now we do like my mom does, make big batches and stash them in the freezer for those lazy days. When Tim and I started cooking together, pasta sauce was the first thing he wanted to master. 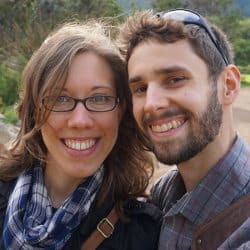 I remember coming home late from work one night, and he greeted me with a big grin – he had made pasta for dinner. Tim still maintains that knowing how to make a basic pasta sauce is the first thing anyone who doesn’t know how to cook should learn. 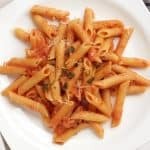 For us, pasta was such a staple for busy nights, and pasta sauce is so versatile, that once you know the basics, you’ll never get bored with variations. 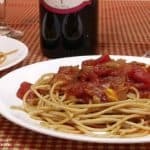 Pomodoro sauce may be the most basic of the pasta sauces. No meat. Simply tomatoes, garlic, onions, and herbs. In Italy, you’ll find this simple sauce called “Pomodoro,” which is the Italian word for tomato. In America, we know of it as Marinara Sauce. 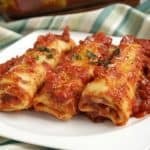 Marinara Sauce is actually a slightly different type of tomato sauce, with similar ingredients to pomodoro sauce, but a bit chunkier and more fresh-tasting. 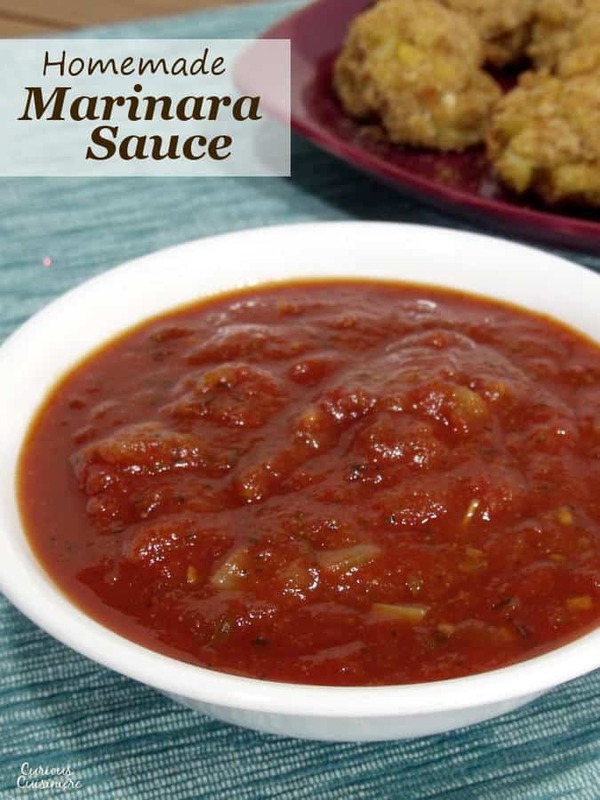 Marinara sauce comes from Naples, Italy and means “mariner’s”. 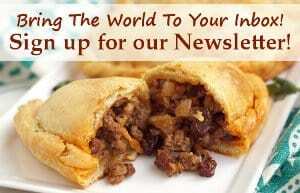 Typically, you would find a marinara sauce on your pasta, while you would find a pomodoro sauce spread on your pizza. Whatever you call it, this is such a quick sauce to make. 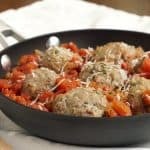 A quick saute and a short simmer transform simple ingredients that you most likely already have in your pantry into the perfect sauce. 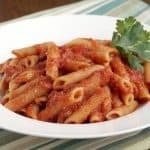 It’s so easy, you can have your pomodoro sauce (or marinara sauce) ready by the time you’re pasta is ready for the table! 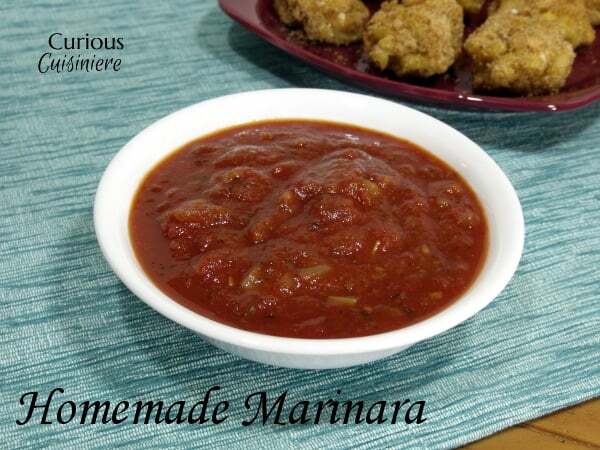 And, marinara sauce (or pomodoro sauce) makes a great dipping sauce. In St. Louis, where I grew up, I was introduced to marinara along-side crisp, toasted ravioli. (I could go on about toasted ravioli, but we’ll save that for another post.) But, if you’re in a dipping mood, this sauce goes great with these Baked Mac and Cheese Bites or these Potato Crusted Italian Spinach Mini Quiche. 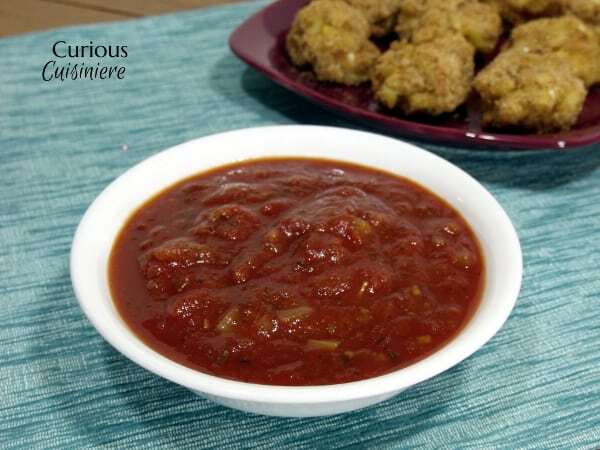 Call it Pomodoro Sauce or Marinara Sauce, our Homemade Pomodoro Sauce recipe is so easy, you won't be reaching for a jar any time soon! In a medium saucepan, heat oil. Add minced onion and sauté over medium-high heat until soft, 3-5 min. Add the minced garlic, and saute 1 minute. Add remaining ingredients and mix well. Bring the mixture to a boil, then reduce the heat to low and simmer, uncovered for 15 - 20 minutes, until the sauce reaches your desired consistency. Thanks for this useful information. 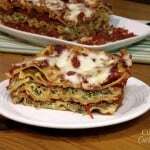 What a delicious recipe to make Definitely try at home. Great post!.